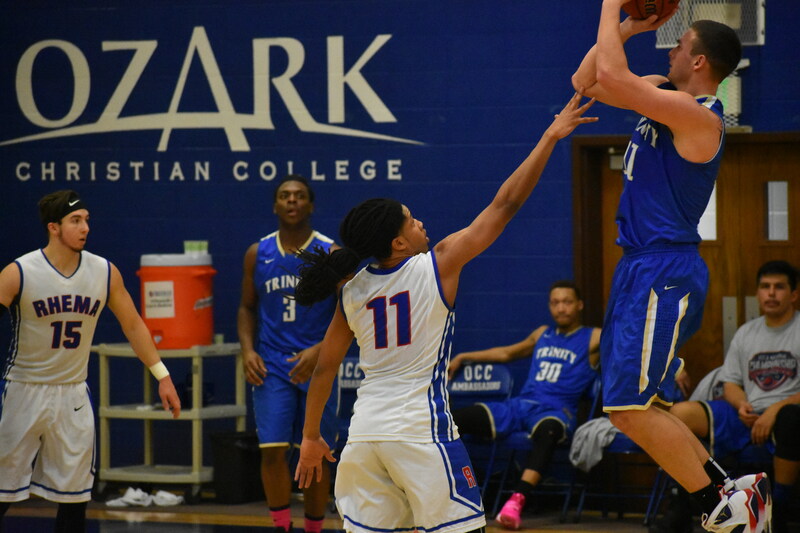 Ozark Christian College athletic department features varsity sports for men’s soccer, women’s volleyball, men’s and women’s cross country and men’s and women’s basketball. The Multipurpose Building is the home Ambassador athletics with locker rooms for all varsity sports and features a 1,500 seat gymnasium for volleyball and basketball. The Multipurpose Building has hosted the National Christian College Athletic Association (NCCAA) Women’s Division II National Basketball Championship 2014-2016, the Association of Christian College Athletics (ACCA) National Women’s Volleyball and Men’s and Women’s Basketball Tournaments every year since 2011, NJCAA Region 16 Division I and II Men’s and Women’s Basketball Championships 2015 and 2016 and Missouri Christian School Athletic Association State Volleyball and Basketball Championships. The Ambassadors home soccer pitch is located immediately north of the Multipurpose Building and is a full-size college regulation soccer field complete with team benches, spectator seating and scoreboard. The pitch has hosted the ACCA National Men’s Soccer Championships since 2011.